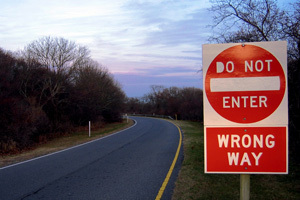 TAMPA, FL – According to Tampabay.com, a drunk driver who made an illegal U-turn on the Howard Franklin Bridge and caused a wrong-way collision has been released from prison. The driver, 25-year-old Andy Andreia Cuff Jr., caused a head-on collision that severely injured a woman. The victim was described as being in “very critical condition” following the crash. Cuff reportedly drove his 2008 Chrysler 300 southbound in the busy bridges northbound lanes and struck a 2013 Hyundai driven by 24-year-old Andrea Nicole Rusch. Rusch was transported to the St. Joseph’s Hospital and Cuff was treated for injuries and then released into police custody. Cuff was charged with DUI with a serious injury. On Friday morning, Cuff was released on a $5,000 bail. The accident is one of many wrong-way crashes that has wreaked havoc on Tampa’s roadways. Last month, a similar crash took place when a driver, Renard Antonio McGriff, from Pinellas Park made a U-turn on the same bridge and traveled between two and three miles before striking a van head-on. McGriff was killed in the crash, and the driver of the van was brought to a nearby hospital where his condition was listed as critical. In both of these extremely similar collisions, the wrong way driver was found to be under the influence of alcohol. Hillsborough and Pinellas counties lead Florida in drunk driving incidents, and there have been similar rashes of drunk driving crashes in the recent past. According to Larry Coggins, who is the executive director for West Florida’s chapter of Mothers Against Drunk Driving, drunk driving is nothing short of a public health crisis in the Tampa Bay Area.